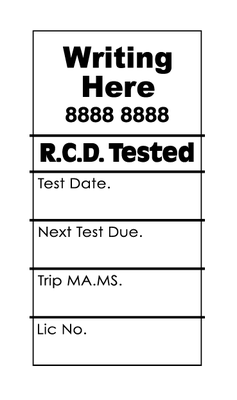 White Vinyl RCD Test Results Stickers record trip time and trip current details and also test date and next test date due date. They are custom printed and can include up to three lines of writing. Includes up to 3 colours. For full colour printing or a coloured background please contact us for a quote.